How does GBS affect you? Testing positive for GBS does not mean you have an infection or are unclean, it just means you carry the bacteria in your body. The GBS bacteria can naturally come and go and is usually not harmful to you. GBS can affect your baby. Prevention of GBS Disease in The Newborn. Group B strep bacteria is transferred to the baby most often during the labor and delivery process by a mom carrying Group B strep. Antibiotics given to the mom during labor have proven to be very effective at stopping this transmission. It is recommended by the Centers for Disease Control and Prevention (CDC) and the American College of Obstetricians and Gynecologists (ACOG) that all pregnant women be screened for GBS between the gestations of 35-37 weeks. Studies show that testing within 5 weeks of delivery is the most accurate at predicting the GBS status at delivery since GBS can come and go. The test results are usually available within 24 to 48 hours. How is GBS screening done? Pregnant women who test positive for GBS will most likely receive the antibiotic Penicillin through intravenous (IV) therapy during labor. This decreases the chances of delivering a baby with GBS disease to 1 in 4,000 compared to 1 in 200 if the mother did not receive antibiotics during labor. (CDC) If you have a severe allergy to Penicillin then your provider will choose another appropriate antibiotic. Warning: Penicillin may burn a little going in! If you find that it is, let your nurse know and they can either slow it down or increase the other IV fluid to dilute the Penicillin. Is there other treatments for GBS? Online you may find natural remedies for GBS advertised such as the use of probiotics, garlic, and Vitamin C. Antibiotics taken through the mouth instead of the IV have also been explored and antibacterial birth canal washes. The CDC states, “To date, receiving antibiotics through the vein during labor is the only proven strategy to protect a baby from early-onset group B strep disease”. The CDC also states that researchers are working to develop a group B strep vaccine that we may see in the future… pretty neat! 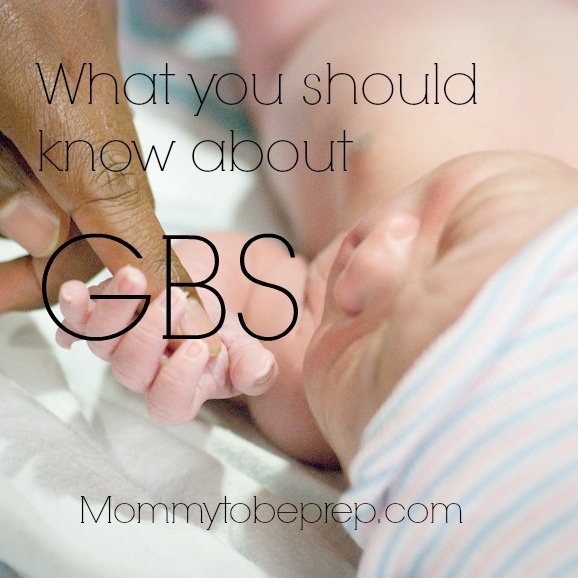 How Will Being GBS Positive Influence My Labor and Delivery Experience? There are not a lot of differences in the labor care received by someone who GBS positive versus someone who was tested negative. Most providers recommend that all their laboring patients have an IV, but patients that are GBS positive must have an IV to receive the antibiotic. If you are being induced and you are GBS positive, your provider may choose to delay rupturing your bag of waters if your labor is expected to be very fast. This is because optimal GBS treatment is to have the antibiotics in greater or equal to four hours before delivery. (CDC) Lastly, many Pediatricians recommend GBS mothers and babies staying at least 48 hours in the hospital after delivery to have adequate amount of time to assess the newborn. I hope you found this helpful! If so, let me know bellow in the comments! Also, if you would like to be updated when new posts come out just subscribe the right! Best wishes! Yes! Very helpful! Keep up the writing please! I am subscribed too! Even as a L&D nurse I have learned some things from your blog! Great work. I love to hear that! Thank you Jessica!